While there’s nothing specifically wrong with these straighteners, I’m struggling to find anything that’s overwhelmingly right with them either. Their price is very middle range, which might be attractive to some, but I think there are better BaByliss models for less and almost as good Remington models for far less. So I’m not sure the price is quite right here. The 240-degree turbo boost that lasts 30 seconds seems incredibly gratuitous and I think it’s a marketing angle rather than a consumer based development. I just don’t see it being useful to anybody. 235 degrees is a great temperature for even stubborn hair and hotter than that starts getting worrying. These don’t compare to GHDs, although I wouldn’t really expect them too. If GHD quality is what you’re looking for then look elsewhere – BaByliss has more comparable products with a lower price tag than GHD. For a mid-range product, I’m still not totally convinced here but if you’re in love with the colour and design and don’t straighten your hair every morning in a rush for work, you’ll probably be just fine with these. Considering Remington’s current status as a household name in hair and body care appliances, you wouldn’t think that they had started out with firearms. Still, they clearly know an opportunity when they see one and while not everyone wants a gun, plenty of people want glossy, styled hair. They appeal mostly to those who don’t want to part with huge amounts of cash or invest in the luxury brands but still want a product that does the job well and will last a reasonable length of time. Remington are developing their range in line with competitors and while they’re not necessarily the forefront of hair straightening, they not lagging behind either. In a sort of metallic, fuscia pink, these straighteners look quite vibrant coming out the box and the digital display miraculously doesn’t look too tacky and cheap. The build quality is fairly standard for Remington, no sign of the solidity and luxury of GHDs but not too plasticky either. Really, what I’d expect here. I can’t say I’m totally aware of what the ‘silk’ aspect is – it seems to refer to the ceramic coating but really, the silkiness is the same as any half decent hair straightener and I wouldn’t say if was specifically a selling point. The temperature settings baffle me a little and seem like something that came out of a rushed creative meeting when everyone was asked to come up with something unique. The temperature can be varied from 150 to 235 degree with a 30 second 240-degree ‘turbo boost’. Why? I have no idea. There’s not much that can be achieved with 30 seconds of 240 that cannot be with unlimited 235. While hair doesn’t straighten as fast as it does with premium brands like GHD or Cloud Nine, it does get there in a reasonable time and the results are quite long lasting. 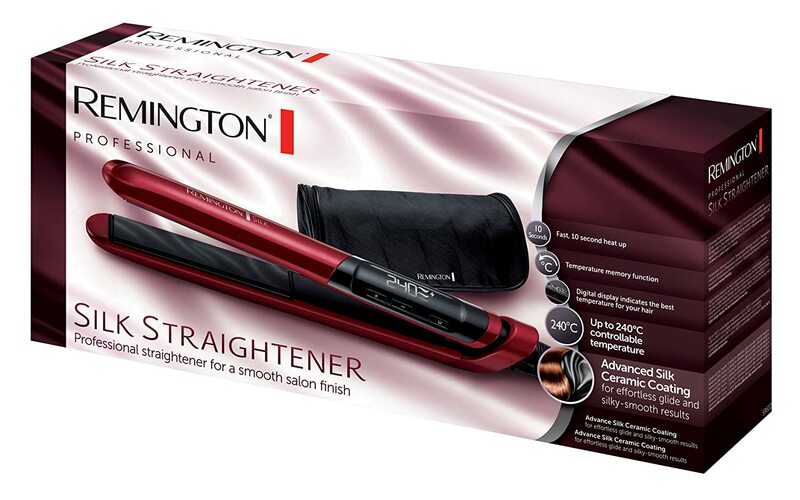 For this price, the set isn’t much better than the entry-level Remington straighteners but it’s significantly higher priced. I’m not very convinced. While it’s supposedly ready to use in 10 seconds, it actually takes much longer than that to reach 235 degrees which can be a little annoying but, really, what’s waiting an extra twenty seconds in the grand scheme of life? Maybe I’m just too spoilt with all these ultra-modern 15 second GHDs. The swivel cord is good, much of a muchness really and it remembers the last temperature setting you used which is pretty nifty and saves you time the next day. 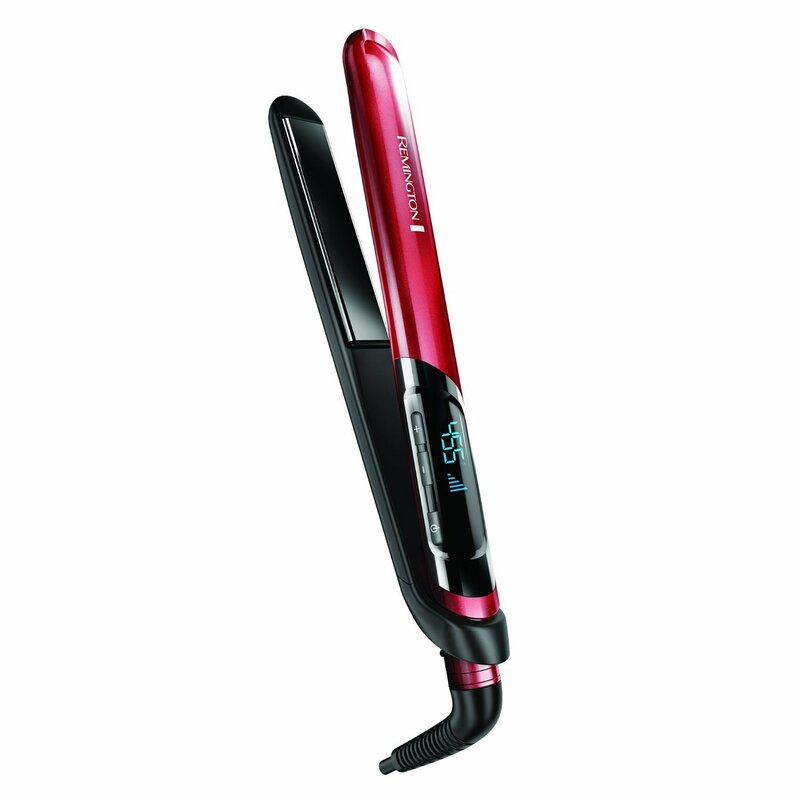 To love these I really think you need to love the colour and not be a daily straightener. The heat pouch is nice but I would prefer a mat – I never put straighteners away while they’re still hot.